Checkpoint inhibitors continue to improve outcomes across several tumor types; however, response rates with the agents are frequently limited to one-third or less of patients. Researchers are hoping to generate higher response rates with the more personalized approach of chimeric antigen receptor (CAR) T-cell therapy, in which the patient’s own blood cells are modified to produce a more robust immune response. 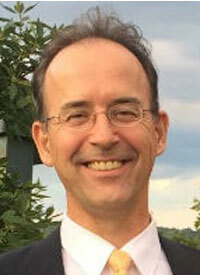 In a presentation at the 2016 ASH Annual Meeting, Jan Joseph Melenhorst, PhD, adjunct associate professor of Pathology and Laboratory Medicine, Center for Cellular Immunotherapies, Perelman School of Medicine at the University of Pennsylvania, discussed findings from a study evaluating biomarkers of response to anti-CD19 CAR T-cell treatment in patients diagnosed with chronic lymphocytic leukemia (CLL). “While targeted therapies have shown remarkable activity in CLL, they are not curative,” Melenhorst said. Stating that both extrinsic and intrinsic factors could influence CAR T-cell dysfunction in CLL, Melenhorst said that their group aimed to identify biomarkers in premanufacturing T cells and in the final product following expansion ex vivo. The adoptive transfer of CTL019—formerly CART-19 cells—has shown remarkable activity and is known to induce long-term remissions in a subset of patients with relapsed/refractory CLL who typically have a poor prognosis. However, very little is known about predictive indicators of efficacy with this treatment. The authors designed the present study to evaluate biomarkers of clinical response to CTL019 in CLL. Melenhorst et al’s study included 41 patients with advanced, heavily pretreated, high-risk CLL who received at least 1 dose of CTL019 cells. In vivo expansion and persistence were key quality attributes of CTL019 cells in patients with CLL who had complete responses to therapy, according to the authors. Responses were sustained beyond 5 years in 2 patients, accompanied by the persistence of functional CTL019 cells. The authors also identified transcriptomic signatures of early memory T cells that were associated with durable remissions, while T cells from nonresponding patients had higher expression of genes that regulate terminal differentiation and exhaustion. Melenhorst added that transcriptional profile by cluster analysis indicated very distinct signatures, particularly with respect to early memory cells and exhaustion signature. T cells from nonresponders were enriched in genes belonging to known pathways of exhaustion. Additionally, early lineage T cells may mediate superior antitumor activity due to enhanced proliferation and survival following adoptive transfer, Melenhorst noted. Infused CAR-T cells also had reduced CD27 expression. “The combined assessment of PD-1 and CD27 expression on CD8+ CTL019 cells in the infusion product accurately predicted response to treatment,” Melenhorst said. He added that immune checkpoint inhibitor–directed combination therapy may reinvigorate CTL109 cells. “Our gene analysis also showed the involvement of the STAT3 pathway,” said Melenhorst, showing that CTL019 cells from complete responders secreted significantly higher levels of several cytokines, including CCL20, IL-21, IL-22, IL-17, and IL-6, indicating that the STAT3 signaling pathway may play a significant role in stimulating the enhanced potency of CTL019 cells. “These data and additional immunological biomarkers may be used to identify which patients are most likely to respond to adoptive transfer strategies, leading to an enhanced personalized approach to cellular therapy,” Melenhorst concluded. Fraietta JA, Lacey SF, Wilcox NS, et al. Biomarkers of response to anti-CD19 chimeric antigen receptor (CAR) T-cell therapy in patients with chronic lymphocytic leukemia. Presented at: the 58th American Society of Hematology Annual Meeting & Exposition; December 3, 2016; San Diego, CA. Abstract 57.